If you belong to those women that prefer to keep to the traditions, then it is a must having in your wedding look “something old, something new, something borrowed and something blue”. While the old and new items mean the transformation from the unmarried status to the new union, borrowed items symbolize the contribution of community in the wedding. The blue color had the special meaning in Hebrew, Christian and Roman cultures for a long time and symbolizes the love, devotion and purity. As for the “something old”, think about the item that was passed to your parents from their ancestors. 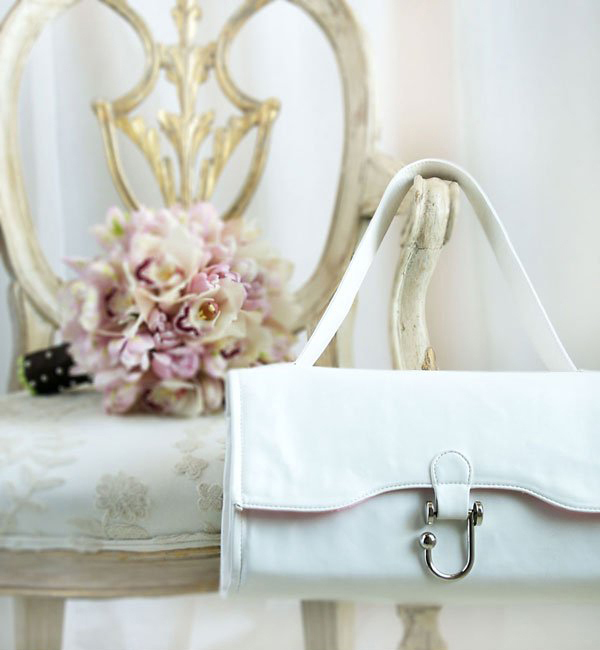 Moreover, it could be your old item like the favorite lipstick or ring. In case there is a tradition in your family of passing down the heirloom jewelry, then you should consider wearing it as “something old”. For “something new”, consider going for the tiara since it is a unique chance to wear one. If you have a limited budget, a wedding gown, veil or lingerie can play the role of “something new”. If you want to add the special meaning to it, consider opting for the key from your new home or the locket with the photo of your couple. “Something borrowed” could be taken from your close friend or family member. It could be your mother’s clutch, sister’s wedding veil or your friend’s pearl necklace. Since the typical bridal look doesn’t imply the blue color in it, consider wearing “something blue” underneath. The garter is probably the most popular option. Another way is embellishing your hairstyle with pins with blue crystals, choosing the bra with blue trimming or earrings with blue aquamarine or sapphire. You may add the blue flowers like hyacinth, delphinium and hydrangea in your bridal bouquet. Don’t overly try with jewelry since the wedding dress should be the key element in your look. 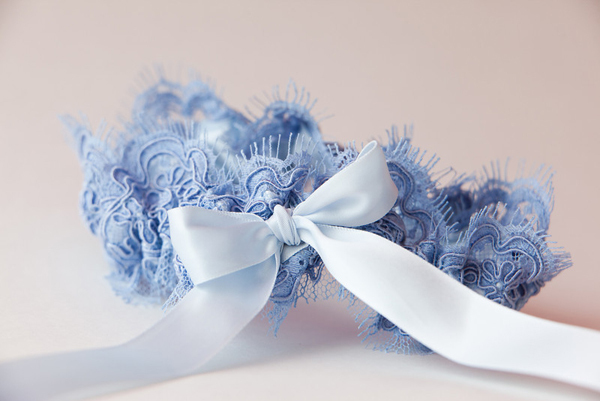 In case your fiancée graduated from the college where the blue was one of the school’s main colors, consider finding the garter with the school spirit. This is a creative way to incorporate “something blue” into your wedding look. Keep in mind that the platinum and silver jewelry perfectly match the white wedding gowns, while the ivory dress requires the gold and rose-gold jewelry. The sleeveless, short-sleeve and three-quarter sleeve dresses could be complemented with the bracelets. Avoid wearing the watch since it is a business accessory rather than a wedding day one. Once your wedding day is over, keep the jewelry in the special box, which you will be able to pass down to your daughter on her big day.